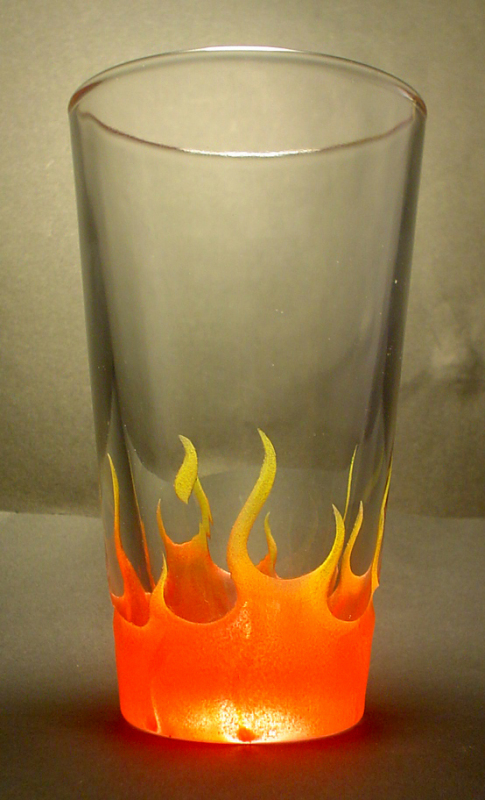 Classic flames design...so simple yet so cool! My earliest style of glassware and still very popular. 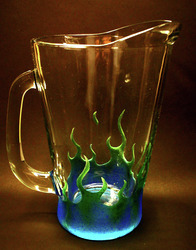 14oz. 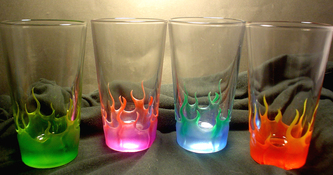 thick, heavy duty glasses with deep carved flames---awesome texture! The array of color combos vary depending on timing but the classics are always around. 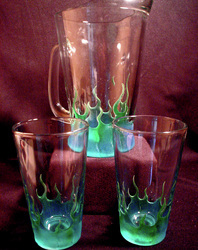 Make a set with pub glasses, the matching 60oz. pitcher and a set of thick 1oz. 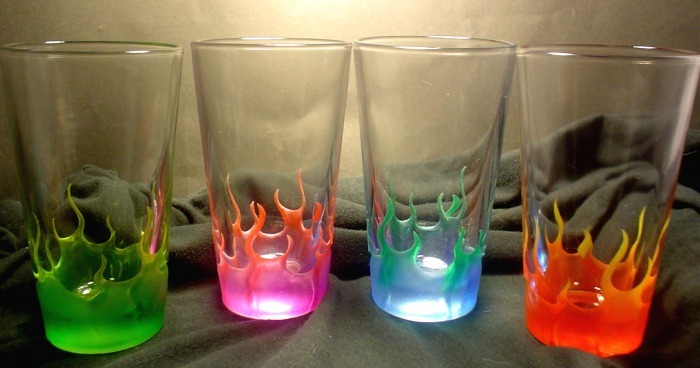 shot glasses and you've got a party! Name/text can be added to the glass.